The methodology applied by Ian Humes Photography to produce Verified Views (also called Accurate Visual Representations / AVR) is described below. With the current developments in high-end digital photography it is now possible to match the quality produced by medium format film cameras. The bonuses that digital imaging brings to the equation is that the turnaround time is much faster, also storage, archival and retrieval of the digital file is significantly easier. The lens selection will be influenced by the customers CGI workflow and graphical requirements. If the workflow requires image perspective to be uncorrected then Tilt-Shift lenses will not be used. However if the requirement is for ‘In Camera’ correction then a full selection of Tilt-Shift lenses are available for use. The lenses used to produce the images are chosen depending on the distance from the object being photographed and the view required. In most cases the following selection produces the images required. The lenses used to produce the images are all Canon Professional lenses with excellent colour transmission, minimum distortion, high contrast and detail rendition. If ‘In Camera’ perspective correction is requested then Tilt-Shift lenses are used. Currently Canon make five Tilt-Shift lenses, a 17mm, 24mm, 50mm, 90mm and 135mm lens. These lenses respectively have 93°x70.5°, 74°x53°,40°x27°, 22.7°x15.2°, 15°x10° fields of view (horizontal x vertical). Using these lenses allows the removal of perspective foreshortening (also called keystoning) that happens when you tilt a camera up to get the top of the building in shot. Correct use of these lenses allows vertical lines to remain parallel and not converge and removes any need for CGI guesswork to correct the perspective. 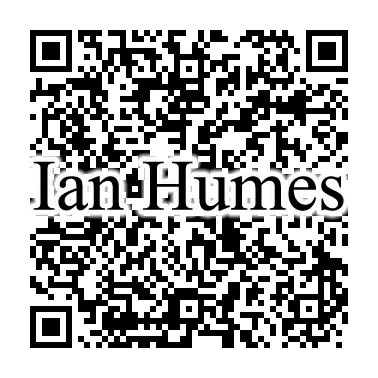 Ian Humes Photography uses either a Canon 5DSr (50.6 Mp) full frame high resolution digital camera, or a Canon 1DS Mk3 (21.1 Mp) full frame high resolution digital camera. A map with the locations marked showing the positions from which the photographs are to be taken. A digital image showing the desired view. This image can either be a photograph of the site or a printed image of a computer 3D mass model. When preparing for the photograph the camera and tripod will be set so that the camera is 1.6m above the local ground level which approximates the average human eye level. The camera will be levelled using a mechanical levelling device and a bubble level. In practice it is impossible to get any camera perfectly level but this method usually produces images that are within +/-1.5 degrees of vertical. Final levelling will be achieved during Digital Image Correction. At the beginning of the day the built-in camera clock is set to local time (BST/GMT). This information along with the date is recorded as EXIF data which is stored in the file when the image is created. Canon cameras produce a RAW file which is an un-manipulated download direct from the sensor. The RAW file has not been modified, colour balanced, sharpened or tweaked in any way. To make the data usable it needs to be converted into another file format. The file conversion is completed by using Capture One and converts the image into a 16bit TIFF file. This file format supports the highest detail, dynamic range and colour depth and should be considered the master file from which all other images are produced. If the image was not taken under natural light then colour balancing will be needed to produce an accurate colour rendition. This correction happens during the file conversion from RAW to TIFF. Check the image maintains its highlights and that the shadow detail is correctly displayed. Check that the image appears level and rotate to vertical if necessary. The view name is the name that was used by the customer to describe the view or if not supplied then the name used on the quote document to describe the shoot. The bit depth is the amount of data that is stored in each pixel that makes up the image. 16 bit images contain more data and can be manipulated to make better use of their dynamic range. 8 bit images are usually finished images that have been manipulated and are ready for use. The time that the image is created is automatically saved to the file at the time the image is created. The camera is set to local time during the gear check on the previous day. The time is stored as 'hhmi ddmmyy' hh=hour mi=minute dd=day mm=month yy=year, with the hours recorded in 24 hour clock format. The Aperture setting on a lens controls how much of the photograph is in focus by controlling the depth of field used. Apertures are usually in the range f1.0 to f32, small numbers (f1.0 – f4.0) produce only a shallow depth of field, useful for highlighting a specific part of the image. Mid range numbers (f5.6-f11) give larger depths of field allowing more of the image to appear sharply defined. With very large numbers (f12.8+) the image will start to become less sharp throughout its range as diffraction affects the contrast of the image. Most images are shot around f8 as this produces good depth of field and no loss of contrast due to diffraction. Focal length relates to the type of lens used. A 50mm lens roughly relates to human vision when viewed at the correct viewing distance. If the image is printed and then viewed so that the viewer is the same distance from the image as the diagonal length of the image then this is the correct viewing distance. In this configuration an image taken with a 50mm lens will produce a close representation of what a person would see if standing at the spot the image was taken from. When taking into consideration the view required and the limitations of geography a variety of lenses must be used to produce the required images. As the lens focal length decreases the lens produces a wider angle image and as it increases the image becomes a telephoto image. The size in pixels of the image file. A full size image will be 8688x5792 , smaller images are used on the website to minimise download times, these include but are not limited to 300x200 and 900x600 for example. When using Tilt-Shift lenses the front elements of the lens can be moved relative to the sensor in the camera. If the sensor is kept vertical then vertical lines within the view will not appear to converge. Shifting the lens allows the front elements to rise or fall relative to the lens axis, this causes the image to move whilst keeping vertical lines parallel. As you shift the lens up you are able to see more of the top of the image whilst reducing the amount of foreground shown. This allows you to see the top of tall buildings without tilting the camera. Jpg files are (relatively) small files which have had their data compressed using various methods so as to create a small file size. The JPG file format is called a “lossy” file format as it loses data from the original image which cannot be recovered, they are also less able to be manipulated at a later date due to the restricted amount of data available. It is an excellent format for email and proofs but not for ongoing work. Tiff files are a lossless file format where saving the image does not downgrade or lose information. However Tiffs are considerably larger that jpg files and therefore not as suitable for email. This is the file format that should be used for ongoing work that requires manipulation (Post Processing). The following is the workflow for producing a set of final images. Find the location required for the images as per documentation provided by customer. Find the best vantage point from that location to represent the site (taking into consideration trees, foliage, traffic, unexpected obstructions in the street etc.). Level the camera and take a selection of images from that location using different lenses if required. Mark the location vertically below the tripod centre with paint for future reference by photographer and/or surveyor. Produce documentation images by photographing the current setup. Allow the surveyor to survey the location of the camera (if in attendance). Convert the RAW files to 16-bit TIFF files. Check for colour balance, highlights and shadow detail. Save as 16-bit TIFF file with the correct naming convention (view number, time image taken, date, lens used, aperture used). Save as 8-bit JPEG file using the same naming convention. Convert the documentation images to JPEGs and group by view. Supply the above data following the normal naming/filing convention.